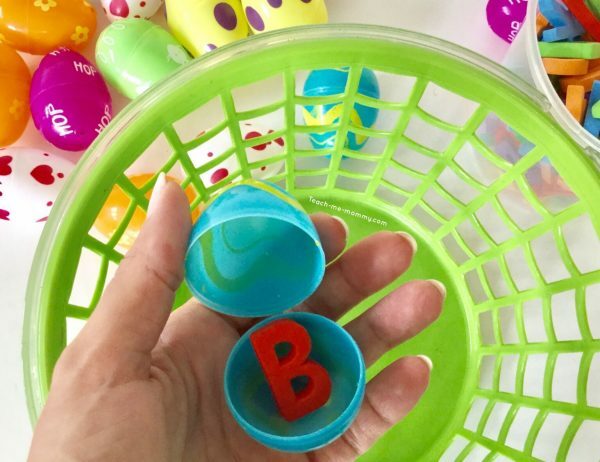 Add a letter in each egg. You can hide the eggs to make this game more challenging, but you don’t have to. We took turn to hide the eggs in the garden because part of the fun is the scavenger hunt, right? 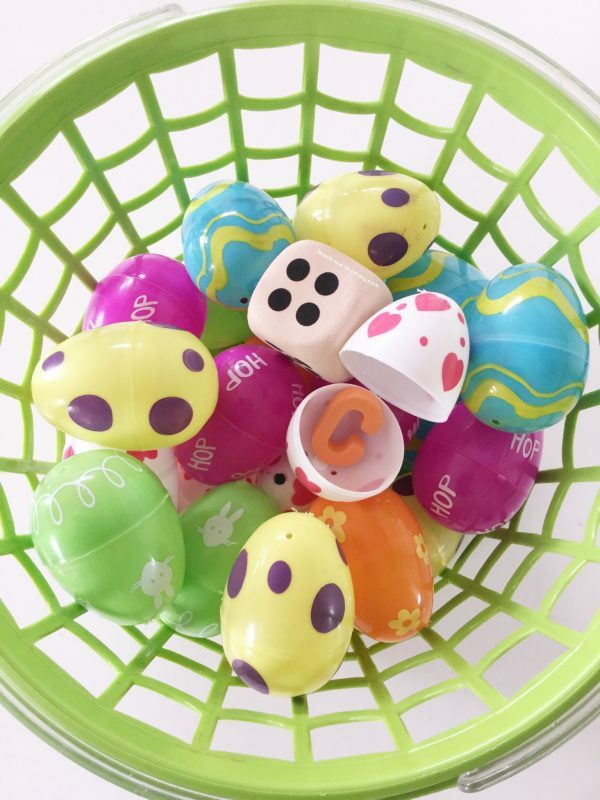 Each player roll the dice, then go find that number of eggs. Come back with the eggs, open it up and see what letters you have. You might be lucky and rolled 5 or 6, therefor you will have more letters you can work with. If you only have one or two letters, you will have to wait for the next round to add to your letters. See how many words you can build with the letters you have. Record it using THIS recording sheet. Keep your letters after each round. 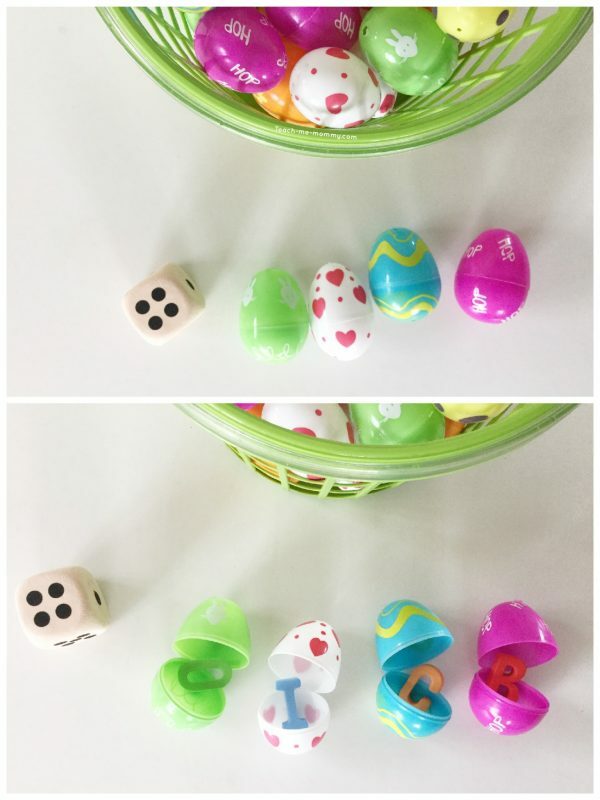 Roll again and again until all the eggs have been found and with each round see how many words you can spell with the letters you found. When all the eggs are found you can “trade” letters to help each other spell more words. The player with the most words wins! 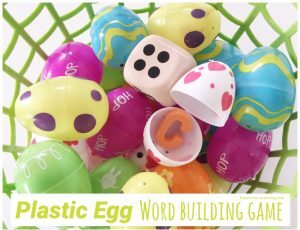 A fun word game to play with those plastic and and get active plus practice word building skills! Do check out these EDITABLE WORD WORK GAMES, perfect no-prep games! This is one creative idea! After easter celebrations I usually keep the plastic eggs till the next easter. Didn’t know about this game! Thanks for sharing it. I’m sure the kids will love it.